Theo is a snail who really loves racing. After a long day working at the plant (literally), he sneaks into the garage to watch his favorite racecar driver on TV and imagine himself as the world’s greatest racer. Unfortunately, his passion causes nothing but grief for the rest of the snail neighborhood. After a freak accident imbues him with super speed, he renames himself Turbo, and happens to be found by a snail racing taco truck driver who is always looking for a gimmick to bring more customers to his rundown strip mall. Together they set out to prove themselves and live their dreams — at the Indianapolis 500. Let’s be honest here, whether it’s true or not Turbo seems to take a lot of inspiration from Pixar films. 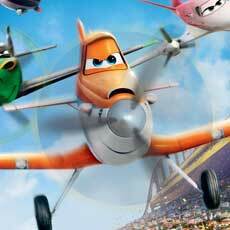 An animated movie with race cars is obviously going to seem a lot like Cars. But that’s not all. The busy working snails in their insect world with their ever-present worry about birds feels an awful lot like A Bug’s Life. The sociopathic neighbor kid who wants to destroy the main character’s kind was well established in Toy Story. And an impossible dreamer who gets advice and motivation from an imagined apparition of his hero is right from Ratatouille. During the first thirty minutes of the film these similarities almost overshadow the rest of the story. Luckily, the film starts to try to establish an identity of it’s own after Theo leaves home (excepting a Talladega Nights style ending). While it may be a little less derivative as the plot moves forward, it is still a fairly weak story. While not necessarily bad, it’s just bland and boring. There’s definitely enough to hold the attention of younger viewers, but teens and adults will be checking the time. The most interesting aspect to the story was the family dynamic provided by the character who finds Theo — an overly optimistic under-achieiving heavyset Hispanic man who is always looking for a new stunt that will bring customers into the taco restaurant he and his brother run together. First of all, how often is a Hispanic person featured as more than just a catch phrase spewing side character in animated films? Secondly, a family unit of two brothers is probably just as rare. Finally, an overweight character that’s not the bad guy? It doesn’t break any new ground story-wise — one is an odd ball, dreaming, always scheming and failing; one is a hard worker always trying to get the other to give up the fantasy life and come down to accept their reality — but at least the character choices make it feel a lot fresher than it is. A bland story that feels already done might have still been workable. Unfortunately there was one major problem that unraveled the whole thing. 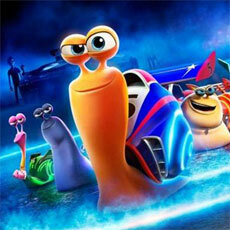 With a crazy concept like allowing a snail to race against cars, you have got to make it seem like a plausible occurrence in the world the film creates. Ratatouille is the epitome of getting the audience to suspend disbelief — if you don’t buy into that concept and accept it as reality for 90 minutes the whole film falls apart. Pixar did this almost effortlessly. Here, DreamWorks doesn’t even come close. By the climax the ridiculousness of it all piles so high it is almost laughable. 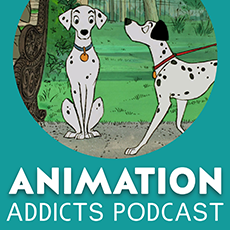 The animation is nothing groundbreaking, but definitely still good. Though for a film that you know is going to be compared to Cars, it’s not great when that film from seven years earlier tops you in this department. Same with the music — serviceable, not memorable. The voice cast was a bit hit-or-miss. Ryan Reynolds does a fine job as Turbo, but doesn’t even compare to other DreamWorks voice leads like Shrek, Po, or even Hiccup. Paul Giamatti is an amazing actor, but is mostly wasted here as Turbo’s brother Chet. Michael Peña and Luis Guzmán as the two brothers that run Dos Bros Tacos mostly succeed, especially at breaking away from how animated films usually want Hispanics to sound. While Samuel L. Jackson just plays snail leader Whiplash as stereotypical Samuel L. Jackson, that’s exactly what we want him to do! Ken Jeong as nail salon owner Kim-Ly was embarrassingly bad. But Bill Hader gets top marks as racecar driver Guy Gagne. 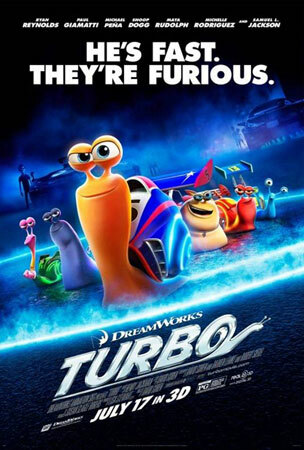 Turbo is good, kid-friendly entertainment — that you’re not going to want to pay $20 and sit in a theatre for two hours to see. A video release you can rent, put on for the kid, and then leave while they watch it? Sure! When you’re only releasing two theatrical films a year it seems to me you’d choose your projects more wisely, rather than race to the bottom with filler like this.